Dr. Shelley McKellar, "A Silent Epidemic? Says W.H.O.? 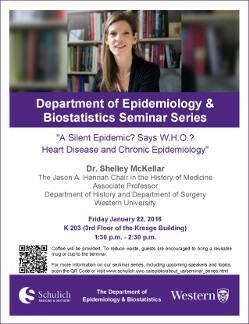 Heart Disease and Chronic Epidemiology"
"A Silent Epidemic? Says W.H.O.? Heart Disease and Chronic Epidemiology"